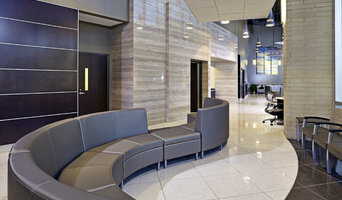 Design Innovations is a full-service interior design firm that provides innovative design solutions for commercial interiors. Our team is comprised of passionate, dedicated professionals with a vast knowledge of design and project management. We work closely with our clients to transform their visions into dynamic, efficient environments that meet their specific goals and objectives. Let our commitment to design and our full range of design services make your project a success! Full service interior design firm based in the Southeast and serving clients nationwide. Sarah graduated from Auburn University in 2009 with a degree in interior design and has worked as a residential designer ever since. She honed her expertise working with architects, contractors and clients on renovations, new construction as well as furniture selection and styling throughout the South. She finds joy in the creative process of tackling the challenges that each new project brings and is willing to work hard to ensure that her clients love their home! 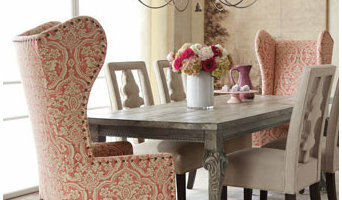 Her style can be described as a mix of transitional and eclectic with a touch of Southern charm. Some people look for a beautiful place, others make a place beautiful. I aim to create a space that is not only a reflection ones personal style, but is seamlessly functional. For a design to be successful, the objects within must communicate and balance with one another. It starts by determining what is important in how a home functions in daily living, and what is symbolic to that particular client. After discovering the needs, wants and desires, I can then create the space that is a true reflection of the client from the exterior, to deep within. And that is how you create a home that feels like home. Through my education and experience, I am able to create aesthetically pleasing environments that accommodate the client’s needs and their desires. Interior design has always interested me and has been a passion, which is why I chose this career path. Perry Umphrey, ASID, RID is a well respected licensed interior designer. Since 1982, Perry has been working in residential and commercial interior design. His skill in taking a conceptual design to finished project has earned him a reputation as one of Alabama's premiere interior designers. His work has been featured in many Residential Showcases and industry publications. Born and raised in Jasper, Alabama , Perry has always had an affinity for elements of structural design and aesthetics. Perry graduated from Southern Institute of Interior Design with a Bachelor of Arts degree in Interior Design. Perry began his career by working as a designer in Atlanta, GA. but returned to the Birmingham area for the last 10 years , and works as an independent designer. Perry is an NCIDQ & Alabama Registered Interior Designer. Perry's passion for interior design is reflected in the beautiful surroundings that he creates. An ability to collaborate with architects, contractors, and his clients have earned Perry a well deserved reputation as a true professional. His style could be interpreted as comfortable contemporary. Clean lines and restrained accents are his forte. Holly began her career in Interior Design when she bought her first home at age 20 and renovated it herself. She went back to design school at Auburn and has been practicing interior design for 25 years. After working in commercial interiors for 10 years, she owned and operated a retail store in downtown Homewood until 2009 when she took off time to be with her family. After managing a non-profit that specialized in disaster relief and logistics for three and half years and speaking at EMA conferences across the country, design called her home. After working for a high-end remodeler, who taught her many lessons and the value of meticulous work, she decided to keep things simple and work for herself- focusing on one or two clients at a time, creating masterpieces. From kitchens and baths to entire home remodels, Holly works with the best builders, suppliers, drapery manufacturers, bespoke furniture companies, cabinet manufacturers, appliance and plumbing showrooms, and carpenters to create functional, livable, beautiful, inviting spaces for her clients. Each space is designed according to its function and the people who will occupy that space. No two families are the same and no to homes should be either. Our goal is to create spaces that you want to rush home to every day. We would love to help you make your dreams a reality. See services on our website to book anything from a color consultation to a full renovation appointment. We keep an interactive calendar available for our clients so that they may book their own appointments and so that new clients may book an appointment. We welcome phone calls also and would love to discuss the scope of your project. Business professional with experience in home furnishings and fashions for over 15 years. Decorating Den Interiors been decorating homes and businesses throughout the U.S. and Canada for over 40 years. We are the largest interior decorating company in North America. We offer window treatments, bedding ensembles, carpets, area rugs, wall covering, accessories, lighting, upholstered furniture and case good furniture with access to well over 100 top quality home furnishings manufacturers. I know that we're sure to find YOUR perfect design solution for your lifestyle and within your budget. Laura Purvis began sewing custom window treatments in her basement in 1999 after a friend needed draperies for a new home. One thing led to another and her “hobby” grew into a full custom window treatment workroom. In 2013, Laura decided it was time to offer her clients more than just curtains and purchased Decorating Den Interiors, the world’s largest interior decorating franchise company. It was one of the best decisions Laura ever made. Her passion for fabrics and furnishings and her eye for all things design has turned into her dream job. We have a pretty simple design philosophy. We think your home’s interior should express your tastes and support your lifestyle. We work with your budget and we bring everything to you. No more running around town trying to pull everything together. We do that for you! This saves you time and money. With our complementary consultation we can assess your needs and lifestyle and develop a plan that works for you and your family. From initial consultation, to product selection, to final installation, we handle every detail. We offer window coverings, upholstery and fine furniture, custom bedding, floor and wall coverings, lighting and accessories, even kitchen and bathroom remodels. We are a true full service, beginning-to-end decorating service. So you can be sure your “After” will be the home of your dreams! Our homes are important to us. They are a gathering space, a party venue, a comfortable spot, and a nice, warm, welcoming environment that you should enjoy. HOME by Mae Beth is dedicated to making your surroundings feel more like HOME. Whether you need a paint refresh, furniture selection and placement, or some new finishes carefully chosen; we’ve got you covered. Need a remodel of a room or the entire house? Not a problem. Looking to buy a new home or sell your existing home? We can do that too! Whatever you need to be more comfortable and happy in your space, I know that we can achieve it together. 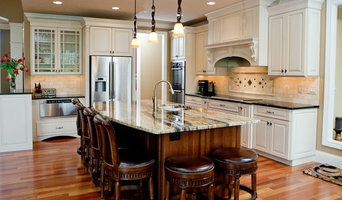 I have been in the residential design field in Birmingham for ten years. I have helped over 1000 customers make their new home personal and beautiful. Great taste combined with the ability to understand and execute a clients’ vision means that my customers end up with a space they can feel excited about. I look forward to helping you find your way HOME. I want each project to be distinct, personally reflecting my client's interests and needs. I pay great attention to preliminary programming, closely listening to my client's wants and concerns while meeting the projects budgetary requirements. Through extensive planning and detailed drawings my client's personality is interpreted into a custom interior. Amanda Cooper is an architectural interior designer whose style is rooted in modernism. Her signature design focuses on effortless luxury that layers in organic textural pieces with a laidback neutral foundation. A deeply engrained love for scale and balance gives her interiors an impeccable touch and attention to detail. A Chicago native, Amanda brings her edgy modern style to the South where she creates spaces with a client's ease of use in mind. Preferring to focus on function first, Amanda delves into how client's use their home and the feel it evokes. 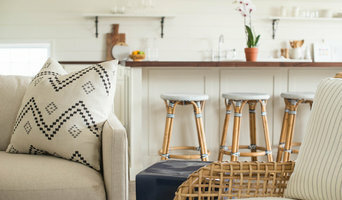 After graduating with Bachelor of Fine Arts degrees in both journalism and interior design, Amanda worked under several of Birmingham's finest contemporary designers as well as achieved a wide range of expertise in the residential and commercial construction industries before starting her own interiors studio in February 2017. With a deeply passionate desire to create functional, beautiful spaces and a strong drive for collaborating with clients and artisans, Amanda Cooper Interiors Studio works across the Southeast on new build construction homes, renovations and full service design projects. When Kelly was 16 years old she began working at an interior design/retail business in Albany, Ga. That is when she found her passion for interior design and beautiful interiors. She went on to graduate from Georgia Southern University with a BS in Interior Design in 2004. Later that year she began her career as an Interior Design Consultant for Ethan Allen and quickly put her talented skills to use. In 2016 Kelly left EA to develop the Interior Design program at RH. She is now working from home while balancing time with her family in Birmingham, Al.